Posted on 30, January 2019 by EuropaWire PR Editors | This entry was posted in Automotive, Financial, Investment, News, Sweden, Technology and tagged advanced cars, automotive, Autonomous Vehicles, Christian von Koenigsegg, electric vehicles, electrification, EV, EV cars, Evergrande, fully electric premium vehicles, high-performance sports cars, hyper car, intellectual property, investment, Kai Johan Jiang, Koenigsegg, mobility, National Electric Vehicle Sweden, NEVS, NEVS 9-3 EV, product design, Saab Automobile AB, Shanghai CENAT New Energy Co Ltd, technology licenses, Trollhättan. Bookmark the permalink. TROLLHÄTTAN, Sweden, 30-Jan-2019 — /EuropaWire/ — NEVS (National Electric Vehicle Sweden) has just announced it purchased 20 percent minority stake in Koenigsegg’s parent company for EUR 150 million. The high-performance sports cars maker Koenigsegg will use the new capital to accelerate growth in the hyper car market, as well as to break ground into an untapped market segment together with NEVS. The two companies are planning to develop parallel vehicle models in slightly higher volumes with emphasis on electrification. 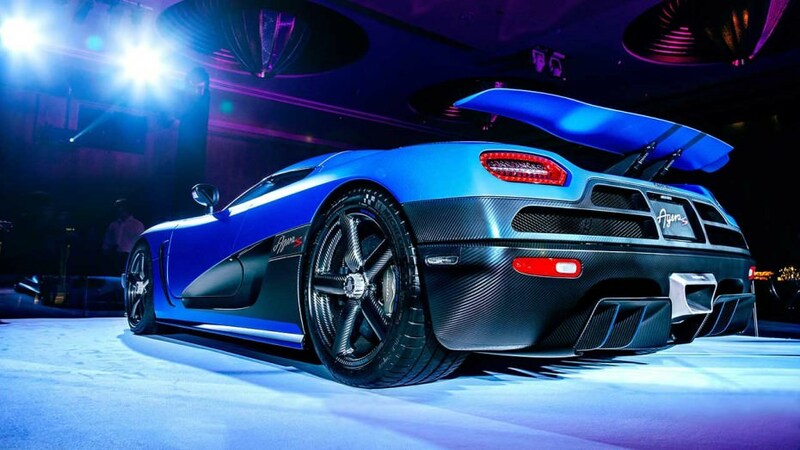 In addition to this partnership, the companies are establishing a joint venture to expand into new market segments where NEVS AB is contributing USD 150 million in the form of starting capital for a 65 percent stake while Koenigsegg will control 35 percent by contributing primarily with intellectual property, technology licenses, and product design. The new partnership steps on already existing collaboration between NEVS and Koenigsegg, creating synergies between their geographical footprints, experiences and competencies. Koenigsegg will access additional capabilities as well as benefit from the extensive automotive knowledge in Trollhättan, where the production facilities of NEVS are located while maintaining their centre of excellence in Ängelholm. NEVS has also production capacity in China and through its majority owner Evergrande has also access to wide distribution channels through ownership in one of China’s largest car retailers. Additional synergies may be created in the automobile battery segment due to the deal NEVS’ majority owner Evergrande announced last week where it acquired 58.07 percent in automobile battery maker Shanghai CENAT New Energy Co Ltd. The deal is valued at $156 million. At the moment the deal was announced NEVS has about 650 employees while Koenigsegg Automotive AB relies on 115 people. “Koenigsegg is an enticing company developing advanced cars with unique technology and with a customer base that is one of a kind. To be able to expand our investment in the Swedish automotive industry through a company that we know and have an established relationship with, is an important step for us. We have both competencies and facilities to support Koenigsegg on their journey forward, something we look very much forward to”. “Koenigsegg is breaking new ground, capitalising on our unique technology, performance track record and market position to explore and develop new products. This partnership will create the best conditions for Koenigsegg to accelerate growth in the hyper car market, as well as enabling us to break ground into an untapped market segment together with NEVS. We very much look forward to working together with NEVS to develop products that ensure a sustainable future”. Koenigsegg Automotive AB is based in Ängelholm, southern Sweden since 2003. The building had previously been home to the Swedish Air Force and once housed JAS 39 Gripen fighter jets. NEVS has growing operations in China where the company’s first plant in Tianjin was finalized in 2018 and during 2019 serial production of NEVS 9-3 EV is planned to begin. In the meantime, new plant in Shanghai is under construction, scheduled for production of EV cars during 2020.